With emotions already running high during Valley Ranch's final practice, Cowboys head coach Jason Garrett got unexpectedly teary eyed. With Father's Day approaching, the head coach was asked how special it was for his father, Jim, to watch his son make it in the NFL and ultimately coach the Dallas Cowboys. 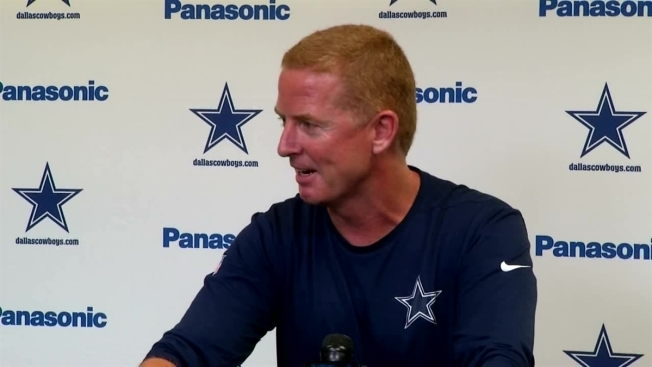 "That's a hard question for me to answer right now," Garrett said then paused as he gathered his emotions. "It's very meaningful. It's very meaningful to all of us. Football has been a big part of our lives. It certainly was a big part of my life growing up, my brother's lives growing up. And my dad, probably more than anything else instilled a passion for football in all of us and all the people he came in contact with. So [father's day] it's a special day." Jim Garrett was a Cowboys scout from 1987 to 2004 and watched Jason first hand play for America's Team. He's now 85-years-old. During a Q&A session at Valley Ranch, head coach Jason Garrett gets emotional when asked about Father's Day.